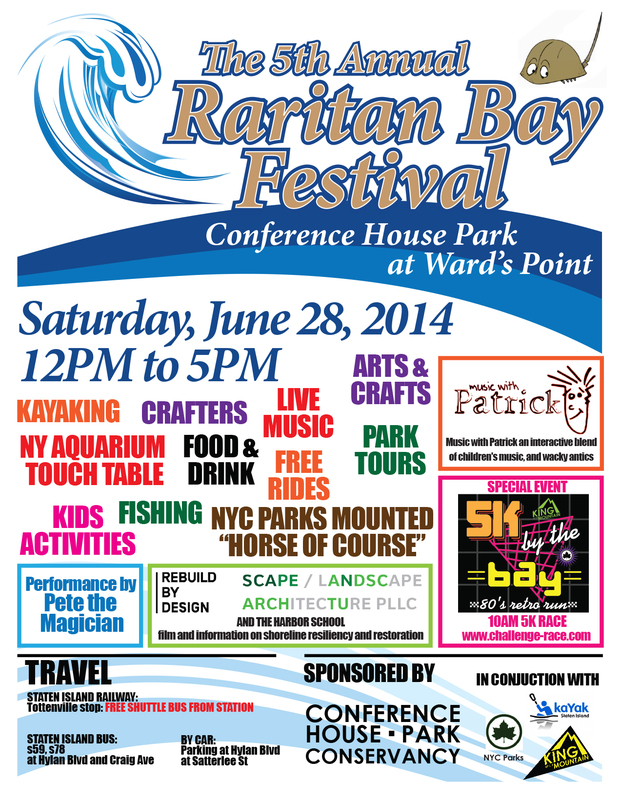 Join SCAPE landscape architecture and community volunteers to map the Conference House Park shoreline during the Raritan Bay Festival on June 28th, 12-5pm. Festival details below, contact gena@scapestudio.com for further info! 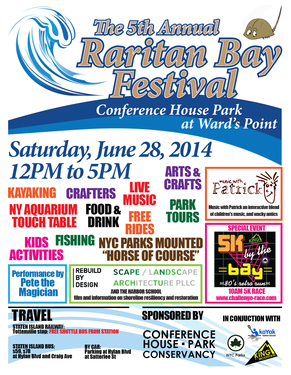 Join us at the Raritan Bay Festival from 12pm-5pm Saturday June 28th to learn about the ecology of the Bay and SCAPE’s proposal , Living Breakwaters for the South Shore of Staten Island. Activities include a resilient shoreline tour, kayaking, aquarium touch tank, fishing, park tours, and food and drink. Free shuttle busses are available from Tottenville MTA Station to the festival location at Conference House Park in Tottenville, Staten Island.